Urban Fringe is a dynamic, full-service boutique salon offering a complete range of hair, face and body services. They draw on talent, skill, and artistry to provide exceptional quality and highly specialized customer service designed to enable their guests to bring out the very best in themselves. This elegant salon features 20-foot ceilings, a full Kevin.Murphy store, coloring station, and a shampoo station with relaxing music. 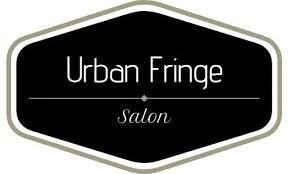 Urban Fringe Salon is open six days a week to accommodate all your beauty needs.